If you want full breeding rights, just add $1000 to the puppy price. This litter will be between 17-25 lbs. The mommy has a fluffy white coat with brown eyes. The daddy is black and white with blue eyes. Your new baby will come with: full physical, UTD on vaccines, de-wormed, health certificate, Life Time Genetic Health Guarantee, micro-chipped, collar, leash, Kolu Husky certification and registration. We are proud to say, that we are the only breeder around that gives a "Life Time Genetic Health Guarantee". You also get a copy of the parents genetic test results. These puppies are very sweet and loving and they just love being around you. If you want to come meet any of our puppies or you wish to talk more about these little cuties, just call or text me at 321-662-7357. This will be the fastest way to reach me. 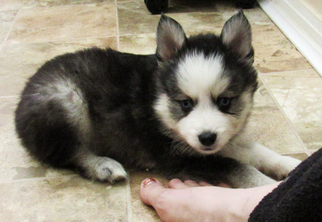 Thank you for your time and interest in our puppies and we hope you find what your looking for. The price of $2900, is with a neuter contract. If you want full breeding rights, just add $1000 to the puppy price. Lucky is black and white with blue eyes. Black and white boy with blue eyes. All white and fluffy with brown eyes. 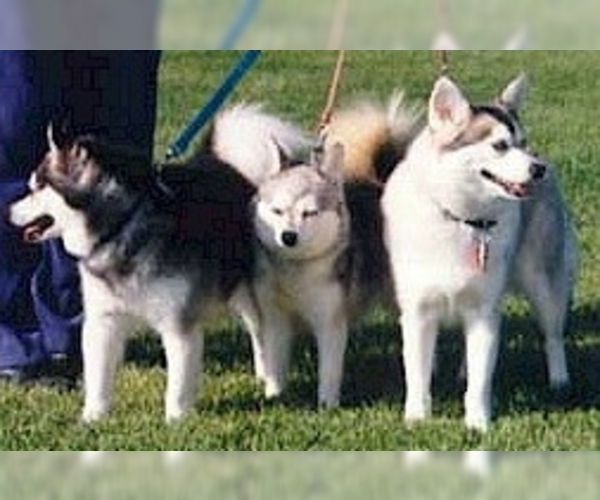 Overview: The Alaskan Klee Kai was bred to be a smaller version of the Alaskan Husky. They look like miniatures of that breed. They are loyal and protective companions. Coat: Double coat similar to the Alaskan Husky. It's thick and double, of medium length with a dense undercoat. 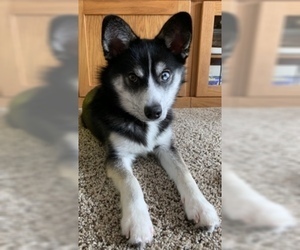 Character: Alaskan Klee Kais are alert and loyal. Although they are small, they make good protectors. 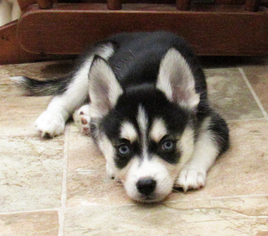 Temperament: The Alaskan Klee Kai prefers to be with people and is good with small children and babies. They are protective and unsure around strangers. Care: This breed doesn't have the typical dog odor and won't need frequent baths. The coat should be brushed daily in the shedding season to help shedding and prevent matting. Training: This bright, energetic dog responds well to consistent training. Activity: This breed needs some regular exercise, but is docile enough for a small house or apartment.